I have a Mackie 1202 VLZ PRO that has served my little studio needs well over the many years I've had it. Today I wanted to upgrade my speakers (monitors) and am having trouble. The rather inexpensive speakers I have need to connect to the Mackie via mini jack. My previous setup used 1/4" jacks attached to the Control Room outputs on the back. 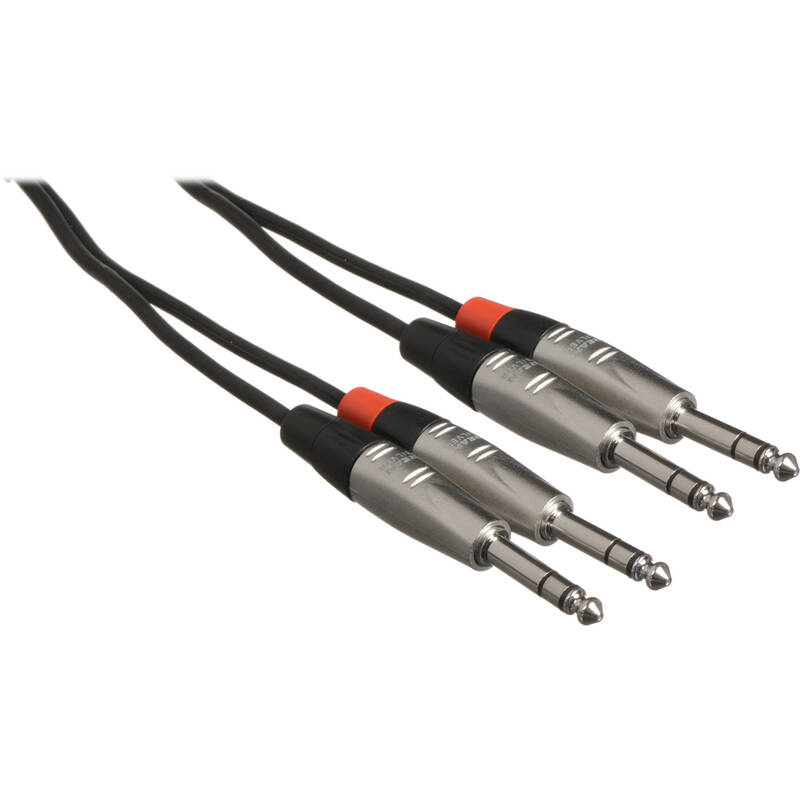 I have tried using an adapter that supposedly connects the stereo mini jack to a Y adapter with two 1/4" jacks. When I connect, I get a very loud hum. I've ruled out every cable or jack that I have (I think) by trying other adapters, but no success. I know the Mackie is a little dated, but it sure has been trouble free for so long, and continues to serve its purposes. Lastly, the speakers are two (gulp) Logitech THX monitors which connect to a subwoofer which has a mini jack line-in which you can connect directly to the computer. That works. But I want to route the signal through the Mackie because I have other gear (including a MIDI keyboard) which I want to hear at the same time as I hear audio out signal from the computer. It's probably going to be a ground loop problem. I'd suggest investing in a stereo isolating transformer. I usually recommend the ART DTI because it's not too expensive and its array of different connectors make it very versatile... But there are others available. So, you would use balanced cables (TRS-TRS or TRS-XLRm) between the Mackie monitor outputs and the DTI inputs, and then your splitter cable to minijack from the DTI outputs. The transformers will separate the Mackie and speaker/sub grounds and thus cure the ground loop hum. I actually might have a transformer here that I can use, but I will check the ART DTI you suggest. It is wonderful to get a response so quickly. A followup re this thread. I purchased an ART DTI transformer/isolater but I'm in need of some further help. I have routed the outs from the Control Room connections via shielded 1/4" cables and attached those to the DTI's inputs. I have the signal coming out of the DTI via a "Y" adapter which connects two 1/4" jacks to an audio mini jack going to the subwoofer in my speaker set up. I get no sound at all. If I go direct from my computer to the speakers everything is fine. Sorry to be so confused, but I'm stuck. Can you be more specific about the precise cables you're using? Are the cables from the desk balanced TRS-TRS, or unbalanced, or something else? My guess is that they are balanced and likely TRS-TRS, but I'm not sure how to tell. They are quite old and have been in my setup, working fine. Never had a problem. I used them to route signal to a couple of monitor speakers, but nothing high end. The speakers had individual 1/4"" jack inputs. The cables attach to the Mackie via the Control Room outputs. Is there a way for me to identify if my cables are what I should be using? If not, maybe I need to hit the store and get a new pair. Does that help? I can add to this description if necessary. The control room outs on the Mackie are balanced on 1/4" TRS jacks so I would use TRS-TRS cables to connect to the DTI. Then use unbalanced phono (RCA) or 1/4" TS jacks (with no third 'ring' contact) out of the DTI to a 3.5mm minijack into your speaker setup. The latter cable is pretty easy to find and usually cheap in the phono. daerp1 wrote: My guess is that they are balanced and likely TRS-TRS, but I'm not sure how to tell.